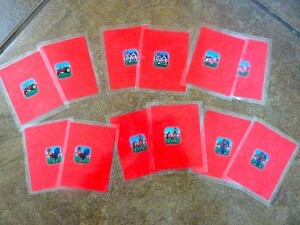 This is a really easy way to create a thematic memory match game using stickers and index cards (or cutouts). Here is a link to an earlier memory match post I wrote. I like including this game because it helps to build concentration, encourages basic game skills like turn taking and provides a good opportunity to make connections and build vocabulary based on the stickers. This station activity takes me only about 5 minutes to prepare and has been a favorite of Andrew’s for a while now. Step 1: Get stickers. 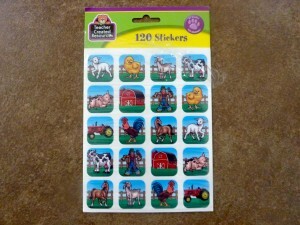 Some stickers come with a matching pair on one sheet (like this one) and other packs do not. For the packs that don’t have matchers on one sheet, I just use two sticker sheets and get the matching sticker that way. Step 2: Get something sturdy to place the stickers on. 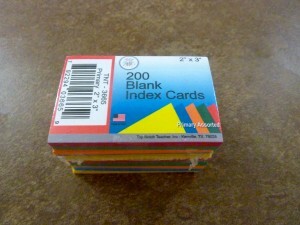 I like to use index cards and found these small, blank, colored cards at my teacher store. 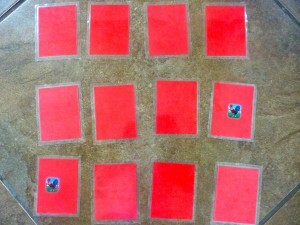 I choose one color to use per memory match game and try to choose a color that goes with the theme or season we are in. For this one, I chose to use the red ones. 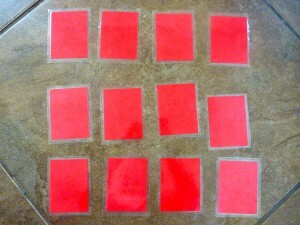 Small, colored index cards (2x3) are perfect for this activity. 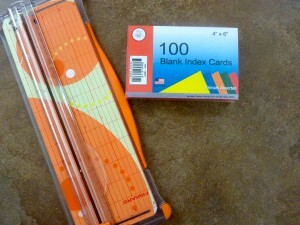 I've also used 4x6 index cards and cut them in half with my paper cutter. 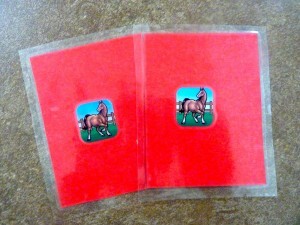 Step 3: Place matching stickers on two separate cards to make a matching pair. Continue until you have made all of the matching pairs that you can. Step 4: Mix them up or shuffle them. Set them out in rows and it is ready! Memory match game set up and ready to play. We take turns turning over cards to try to find matches and continue until all matches have been found. When I began doing this with Andrew, we only did three pairs at a time and the cards were face up so I could show him what we were looking for – “Can you find the card that looks the same?” We did it like this until he understood that we were matching and then began turning them over. Remember to think about the skills your child is ready for and modify the activity so they can build those skills without immediately getting overwhelmed by rules and details they are not ready for. That way, it will be more beneficial and fun for both of you! !